Terry Swanson is an author and historian and recently retired as the manager of the Gibbs Farm historic site. 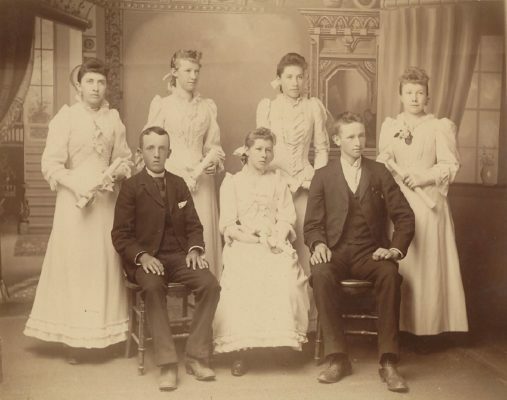 Featured image: Photograph of a group of five girls and two boys, circa 1870. The girls seem to be holding diplomas. Back caption: “St. Paul.” From the RCHS Collection. Due to unforeseen circumstances the previous presentation by Moira Harris has been cancelled. We apologize for the cancellation.